The following is a guest post by Christian Page, author of Monster Squad: The Iron Golem. If you would like to write a guest post on my blog, please send me an e-mail at contact@cecilesune.com. 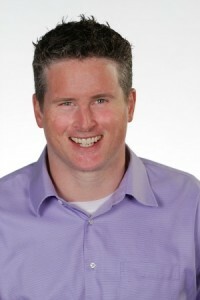 Hi, my name is Christian Page and I am the author of a new kid’s book series called The Monster Squad. 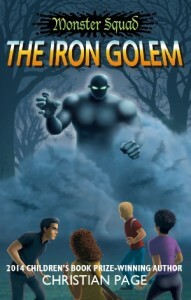 Book One is the Monster Squad: The Iron Golem and is now available on Amazon.com, Barnes & Noble, Kobo and other popular sites and bookstores from my publisher New Generation Publishing. I’m guest posting today to provide an overview on the book and an exclusive excerpt from the story! I hope you’ll enjoy it. The Monster Squad follows a group of small-town friends who discover they are heirs to frightening and mysterious powers. There’s quiet and shy Blaine Davis who is the invisible woman reborn; the jock, Daschle Gaunt, who has the strength and speed of the wolfman; the mystery man, Drake Harker, who has the mind control powers of the vampire; and the brain, Shelley Merry, who is the heir to a terrible and fierce monster. The kids must learn to master their powers while grappling with a group of nasties led by the nefarious Victor von Frankenstein who threatens their town, families and themselves in a race against time. The book combines the action and adventure of a popcorn sci-fi movie, introduces readers to the rich canon of sci-fi, gothic and horror movie characters with a new and fresh modern spin, and breaks up the action with a ton of fun pop culture references and one liners to make sure readers of all ages get a breather and not take the action too seriously. We have a trailer posted on YouTube that gives a quick 60 second run thru of the high points of the story. You can check it out here. Shelley and Dash sprinted up the hillside as the evening darkness shrouded the woodland path. Up ahead they could make out the winking lights of a housing development thru the undergrowth. Shelley tripped on a root and lost her balance. Her clarinet case went flying. Dash skidded to a stop and hurried back, giving her a hand. Bushes shuddered 50 yards downhill as the creature pursuing them lumbered up the path in close pursuit. Shelley hitched her backpack onto her shoulders and ran the remaining length of the path as fast as her long legs could carry her. She and Dash exited into a neatly trimmed cul-de-sac to a small park with a bench, play area, and community BBQ. An overhead lamp lit the street on a nearby pole. They paused to catch their breath near a pair of teeter-totters inside the cone of phosphorescent light. A small pug dog, who had escaped from his yard, was nosing around the bench. He looked at them curiously, cocking his head. The undergrowth from the woods began to rustle. The pug twitched his head back to the path they had exited and began to growl. “My house is up the street,” Shelley agreed. “We can get help there.” She started to move forward as the bushes surrounding the path’s mouth shook ominously. The pug’s haunches rose and he began to bark excitedly. He growled and yapped, approaching the path like he was ten times his actual lap dog size. The bushes twitched again. Shelley stopped and turned back to the furiously barking animal. “Hercules! Come here!” she yelled. “They named that runt Hercules?” Dash murmured. Shelley ignored him trying to get the pint sized pooch to follow. Hercules was having none of it. He amped up his barking and was closing in on the darkness surrounding the entrance. The hair on his back was standing straight up. The bushes shook again and Shelley heard a low moaning from the woods and a series of stomps. She didn’t hesitate. She raced back to the barking Pug and scooped him up. Hercules was in a lather, barking and growling at the woods, struggling to break free of Shelley and attack whatever was waiting inside. Shelley, expecting the worst, shut her eyes and flinched, visions of a giant bear with huge steely claws flashing thru her mind. Nothing. Instead, she saw bushes shaking further down the path and the stomping that had been pursuing them for the last handful of heart-pounding minutes grew faint. Dash came running up beside her. “Holy cow! That was awesome!” he gushed. “What? Are we alive?” Shelley said, peeking open her eyes, still trembling. Shelley slowly put down Hercules who, now that the mysterious presence in the woods was gone, sniffed happily at her legs and sneezed in the freshly-mown park grass. She stood up and looked to the woods. The ominous rustling of undergrowth and clomping sounds of their pursuer were gone. The underbrush was again still and the late summer sounds of animal life and buzzing insects were returning to normal. She peered into the dim path entrance and saw a faint greenish glow. “What is that?” she said, moving a few hesitant steps closer. “Is something still there?” Dash asked, warily coming alongside her. “No, do you see that glow? It looks like it is all over the woods.” Curiosity got the best of her and Shelley moved forward into the darkness surrounding the head of the wooded trail. “Shelley, wait! That thing might still be lurking close by.” A few seconds passed, with Dash tensing up at each tick of the clock. “Dash, you should come and see this.” Dash stepped forward, forgetting the hero pug which was now meandering back to the play area. He walked into the deep shadows of the wooded path. Under the trees it was nearly dark. It took a moment for his eyes to adjust and he walked hesitantly forward, rounding a nearby bend. He stopped as he saw Shelley standing in a clearing, his mouth agape. “I know, pretty amazing, huh?” Shelley said, as he entered. The clearing glowed a soft metallic green, like someone had taken a glow in the dark can of paint and splashed it on the trees, the bushes, even the dirt on the path. Dash brushed by a nearby glowing branch and saw a puff of dust shake loose. The dust sparkled like a thousand little emeralds and wafted toward the ground, leaving the branch bare of the strange substance. Dash rubbed his finger against a glowing tree trunk and saw a thick film of shiny powder cake his fingertips. He quickly rubbed his fingers on his jeans, leaving a faint sparkling streak of lime. “I don’t think it was a bear, I’m not even sure if it was an animal.” She bent down to retrieve a glowing box on the ground. It was her clarinet case, covered in the strange phosphorescent dust. Next to it was a giant rectangular indentation in the dirt, an oversized footprint. “Look at this,” she said, pointing to the square footprint. It was as big as a large shoe box in dimension and the impression went several inches into the ground, as if something very heavy had made it. “There are others down the path,” she said, pointing. “Do you think it’s dangerous?” Dash said, alarmed. He was brushing off his pants where the faint glow of his finger smudge was slowly fading. “I don’t know, but I think we better get home and clean up,” Shelley said, brushing the last bits off her clarinet case. “Maybe your dentist neighbor isn’t so crazy after all?” Dash replied, as they left the clearing. Liked what you read? Then go to Amazon.com, Barnes & Noble, Goodreads or Kobo to find out more! Thanks so much for taking a look at my story! I hope you take a few minutes more to explore it on one of the sites with reviewer and purchase information. I check these regularly and hope to see your feedback soon! Christian Page loves stories that combine fun, action and adventure. A father of two, he lives in the Pacific Northwest of the United States with his wife, son, daughter, overly plump cat and under-behaved dog. You can visit the author to learn more about his stories and upcoming work at www.chrispage.com or follow him on Facebook (Chris Page) or Twitter (@cpagewriter).